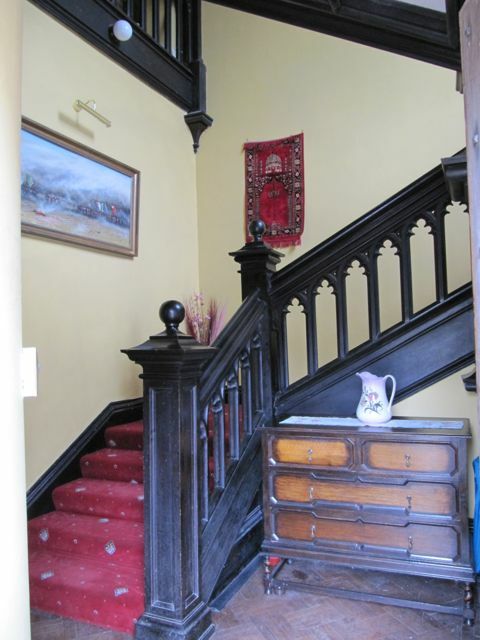 Vivien Leigh was a regular house guest and would have walked the impressive, listed staircase. 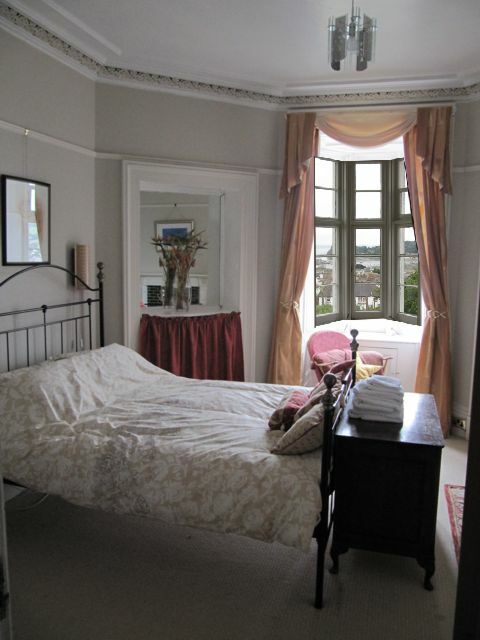 16'5 by 14'4 with walk in triple aspect bay window with sea views. Marble and cast iron fireplace. 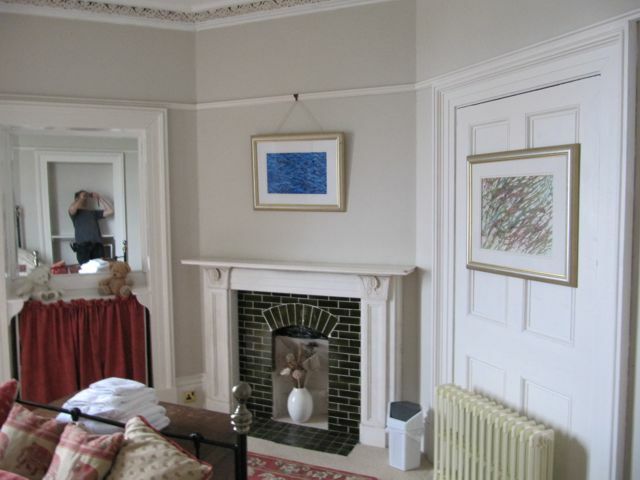 Period cornice, picture rail, stripped floorboards. 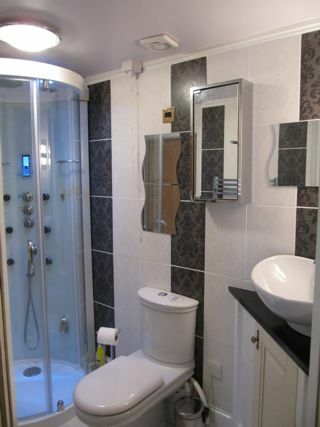 Shared ensuite bathroom with twin beds (can be pushed together) and digital tv. 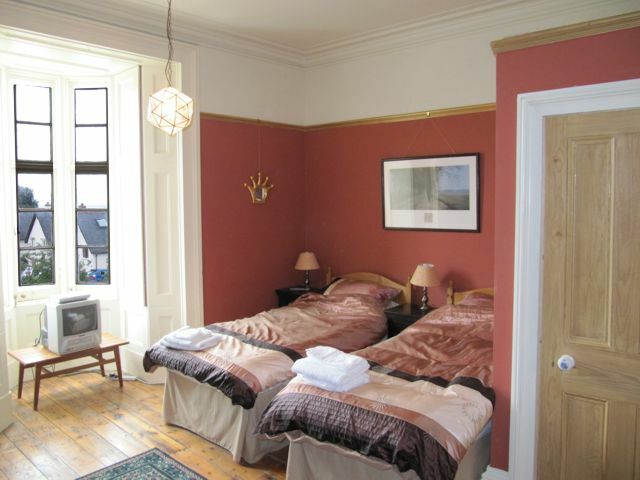 13'3 by 13'4 with walk in triple aspect bay window with sea and estuary views. 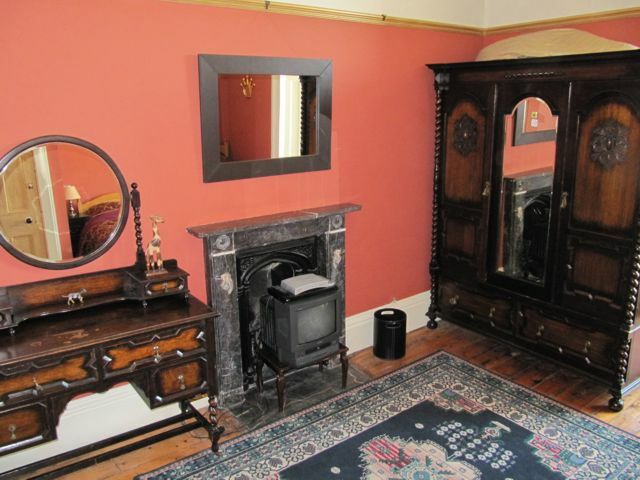 Lovely octagonal shaped room with white marble fireplaceand period cornice. 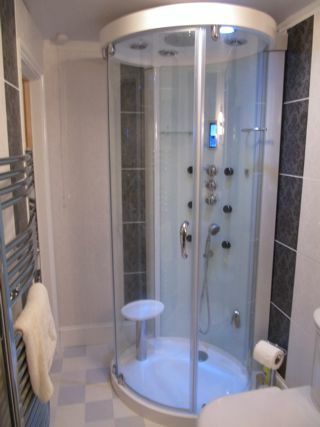 Unfortunately the steam room with radio and mp3 player no longer works but the shower itself is still fine. 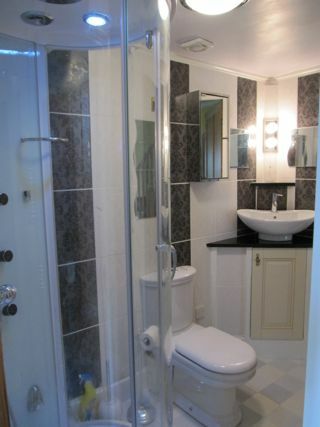 Also a toilet and sink. All new in 2009.